November 29, 2018, 4:30 p.m.
Maxwell House’s recent focus on hard work seems to be paying off. After the coffee brand launched a contest this past Labor Day weekend offering American workers the chance to win a “paid day off” (i.e. 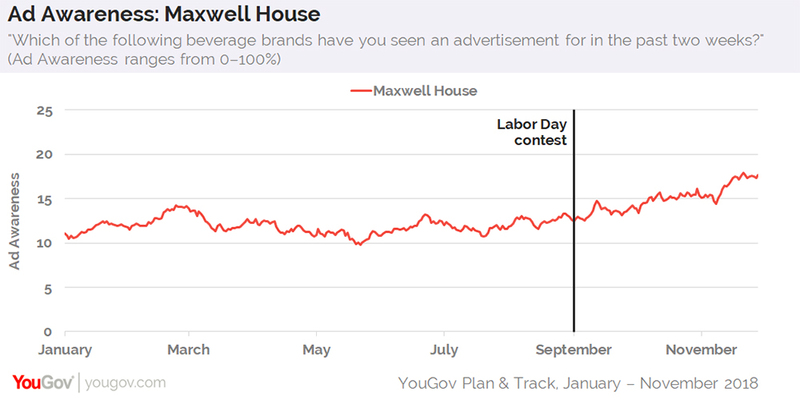 a Visa gift card worth $150), along with an accompanying ad campaign featuring a semi-truck driver from Ohio, data from YouGov Plan & Track shows that an increasing amount of US adults have reported seeing an ad for Maxwell House. On September 1, for example, 12% of consumers aged 18+ reported seeing an advertisement for Maxwell House at some point in the past two weeks. At present, that number has climbed to 18% — a new high for 2018. Following its Labor Day contest, Maxwell House has released another spot that “celebrates hard work by showcasing real hands of hardworking Americans,” according to the YouTube video description. Paralleling this increase in Ad Awareness has been a rise in Purchase Consideration, YouGov’s measure of potential sales. 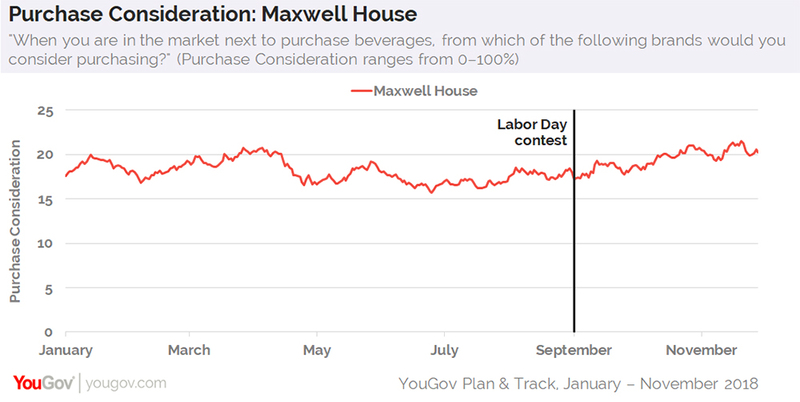 On September 1, 17% of US adults said they&apos;d consider buying Maxwell House when next in the market for a beverage. About a week ago, that number hit 22%. 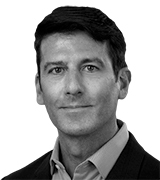 According to further data from YouGov Plan & Track, 61% of current and former Maxwell House customers agree that success in America is more a result of hard work than good fortune, such as having connections or a privileged background. A slightly lower 57% of all US adults believe the same. Additional figures show that more US adults are presently willing to recommend Maxwell House to a friend or colleague than at any point this year.